While some women struggle with fertility and are desperate to have a baby, for others their concern is the opposite – falling pregnant unintentionally. 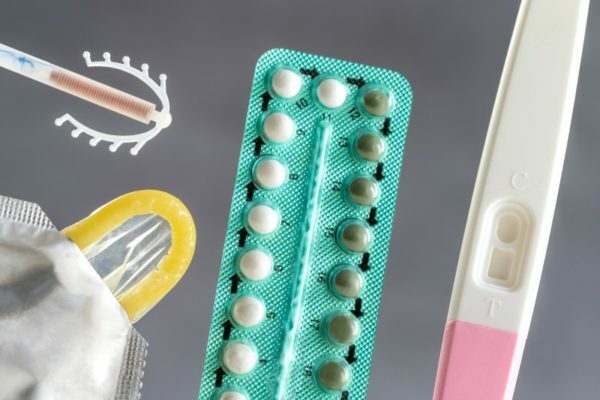 Finding the right contraception that works can be a huge issue and to prove it new research has revealed just how stressed and uniformed about contraception we really are. A nationwide survey of over 1,000 women aged 18-27 years has found that almost 1 in 5 women had experienced an unintended pregnancy, and that 62% would find an unplanned baby more stressful than losing their job, partner or all their savings. Only 13% wanted to have children in the next three years, with buying their own home (71%) and travel (68%) being top of the list instead for current priorities and life goals. Women also wanted birth control for peace of mind (77%), control (65%) and a sense of security (63%); and yet over half (53%) wished they knew more about the contraception options available to them, with 80% wanting their GP to recommend something based on their lifestyle. Although the survey focused on younger women and those yet to start a family, birth control is also a large issue for many of us who are already mothers – regardless of whether you have a long term partner or are a single mum who’s dating. Some women suffer terribly from pregnancy illnesses and can’t face going through it again, while others may not want to have children too close together (two sets of twins under two anyone)? Financial or logistical constraints can also be an issue, or perhaps a woman’s personal health may be at risk if she falls pregnant again. Deciding your family is already complete, wanting to focus on other things like reclaiming your career, or struggling to cope with parenthood are also other very valid reasons why women with children may want (and need!) contraception. After all, having 10 or 20 children is quite a frightening prospect. While older women may be slightly more informed than their younger peers when it comes to contraception; there is still a wide lack of knowledge and understanding across the board with Aussie women. Factors such as health, finances, convenience, and whether you want temporary or permanent contraception can all be important things to consider. Finding a contraception that works best for your individual circumstances can be really tricky if you don’t have all the facts. The first thing to do is do your research. The website contraceptivematch.com.au gives you a great overview of what each contraception option is and how effective they are, among other points to consider. Asking friends and family members (if you feel comfortable enough doing so) is a good way to get information on a personal experience level; while discussing options with your GP will also give you a more medical insight into what might work best for you. If you have a husband or partner you should also discuss your contraception options with them too as they’re not only equally responsible for ensuring no surprise pregnancies occur, but should be involved in the decision making process – particularly if it’s a more permanent method you’re opting for. At the end of the day it’s your body and you should feel comfortable with what contraception you use. So if at any point you’re not happy, please speak with your doctor or partner about switching to a different method. Do you struggle with finding a good contraception that works for you?